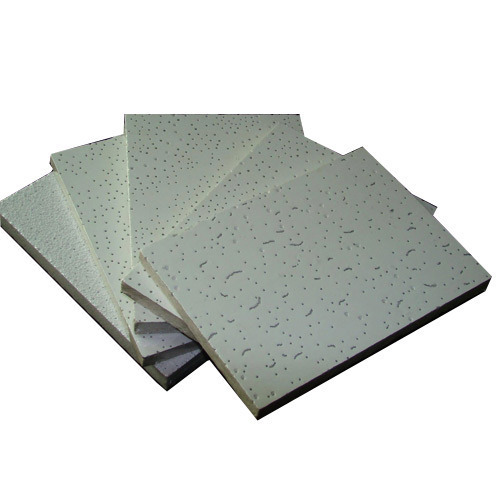 Manufacturer & Supplier of DM Mineral Fibre Acoustic Ceiling Tiles. Our product range also comprises of PVC Laminated Gypsum Ceiling Tiles, Tee Grid System and Mineral Fibre Ceilings. Our organization is dedicated in offering supreme quality DM Mineral Fibre Acoustic Ceiling Tiles. The offered tiles are processed using the best quality raw material and cutting edge technology at vendors’ end in adherence with industry norms. We manufacture these ceiling tiles in different attractive designs, elegant pattern as per the demands of our clients. Apart from this, these ceiling tiles offered by us are highly acknowledged in the market for their durability. Looking for “DM Mineral Fibre Acoustic Ceiling Tiles”?